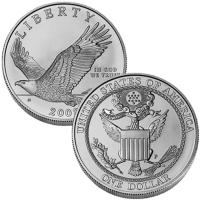 Released by the US Mint to celebrate the iconic bird used as an emblem of the United States of America for centuries was the 2008-P Bald Eagle Commemorative Uncirculated Silver Dollar. The Second Continental Congress in 1782 established the Bald Eagle as the nation’s emblem and placed it on the Great Seal of the United States. However, once quite prominent, the population of the Bald Eagles in America began to dwindle to alarming numbers by the mid-1900′s. Conservation efforts reversed the trend and the Eagle Coins were issued to help celebrate those advances. A surcharge is added to the sale of each commemorative with the funds raised being forwarded to an organization dictated by the legislation which authorized each specific strike. Since 1982, more than $400 million has been collected by the Mint for the chosen organizations. Each Bald Eagle Silver Dollar is struck from 90% silver to the typical 1.5 inch diameter. 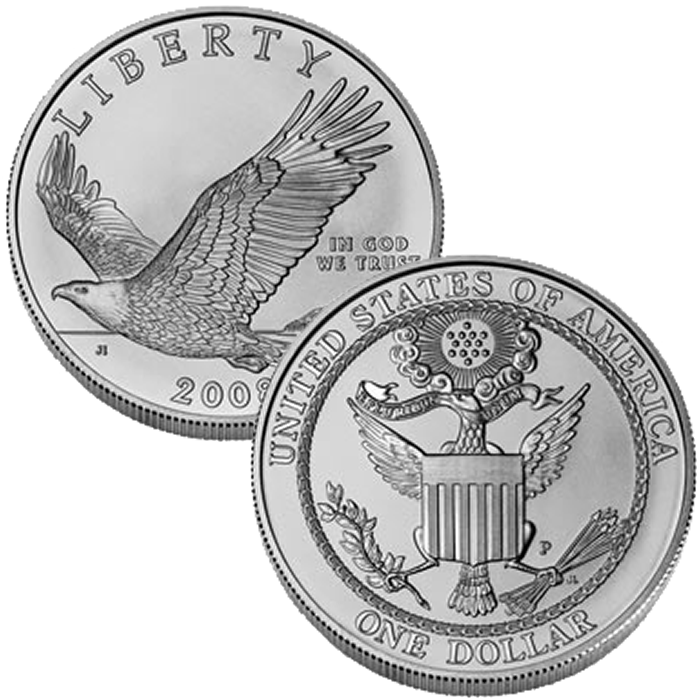 The US Mint released the Bald Eagle Uncirculated Silver Dollar on January 15, 2008. Initial price on the Uncirculated Bald Eagle was $35.95. The Silver Bald Eagles were struck at the US Mint’s facility in Philadelphia and feature the ‘P’ mintmark. A flying Bald Eagle is featured on the obverse (heads side) of each coin. It was designed by Joel Iskowitz and sculpted by Don Everhart. The Great Seal of the United States used between 1782 and 1841 is featured on the reverse (tails side) of the Bald Eagle Uncirculated Coin. It was sculpted by Jim Licaretz.